In the US there are a few builders who aren’t in the mainstream public eye as much as they should be. One of them is California-based Jesse Rooke, who kicked off Rooke Customs in 2002. Rooke’s relatively low profile might be because he only does two commissioned builds a year; his bikes are all one-of-a-kind, so you can’t call him up and order a copy of a machine he’s already made. Despite this, his reputation is growing within the industry and he’s at the forefront of the new wave of US custom building. 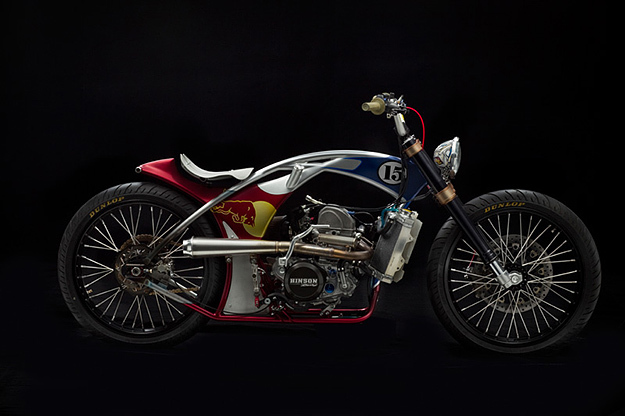 The Rooke Customs style is hard to pin down, and unusually eclectic thanks to Jesse’s background in AMA roadracing, motocross, auto racing and shifter karting. 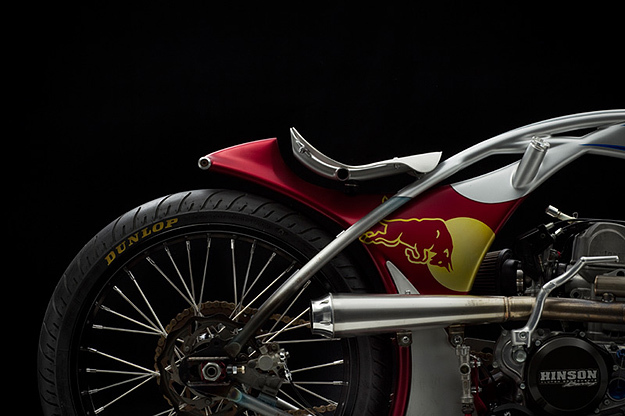 The bike shown here is the ‘Vettel15’, reflecting Rooke’s longstanding association with Red Bull Racing and it was assembled during Red Bull event at the Indy MotoGP. 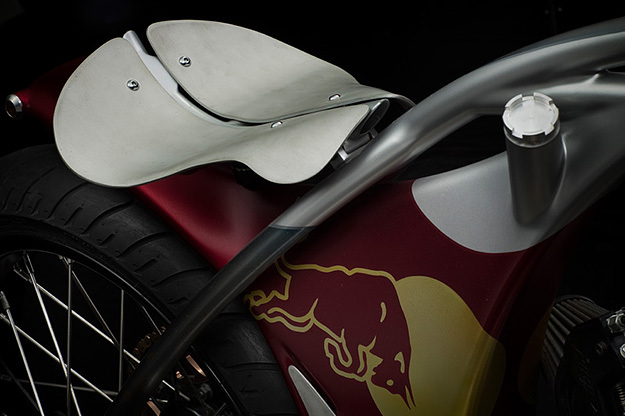 Check the Rooke Customs website for more delicious eye candy, including his latest creation ‘Jaden’, a KTM-based cafe racer.